Where can you drive Tanner Foust’s Global Rallycross Beetle? In Forza Horizon 2 for Xbox One with today’s release of the Rockstar Energy Car Pack! Built for the dirt-filled circuits of the Red Bull Global Rallycross series, this 2014 Volkswagen GRC is an ideal mixture of pure power and serious grip. 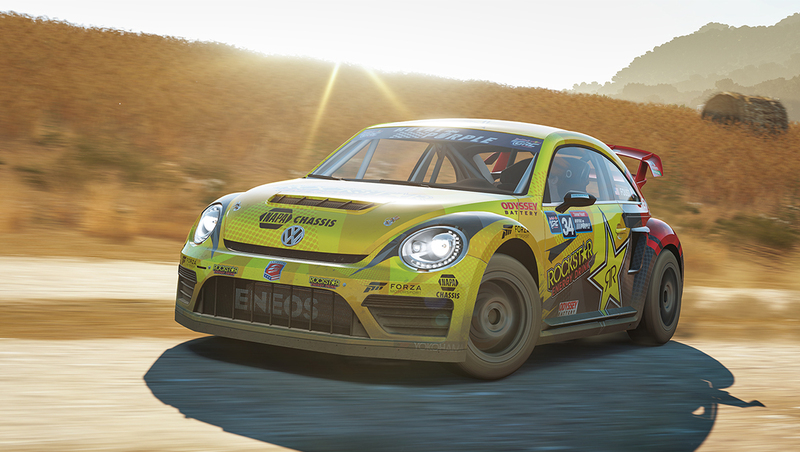 Tanner’s Beetle is just the start with the Rockstar Energy Pack, which also includes an array of cars that are just waiting for their chance to kick up a cloud of dust. In the woods or on the road the newest Subaru WRX STi is ready for action; for luxury cruising there is no match for the ultimate “Ultimate Driving Machine,” the BMW 850CSI. The latest super saloon from Jaguar is waiting for you to sink into its lap of luxury and, lo and behold, we have another Forza first: the Desert Dingo #1107 Baja Bug. Your free car for March is the Acura Integra Type-R, a high-revving, front-wheel-drive masterpiece that will have many JDM fanboys jumping for joy. 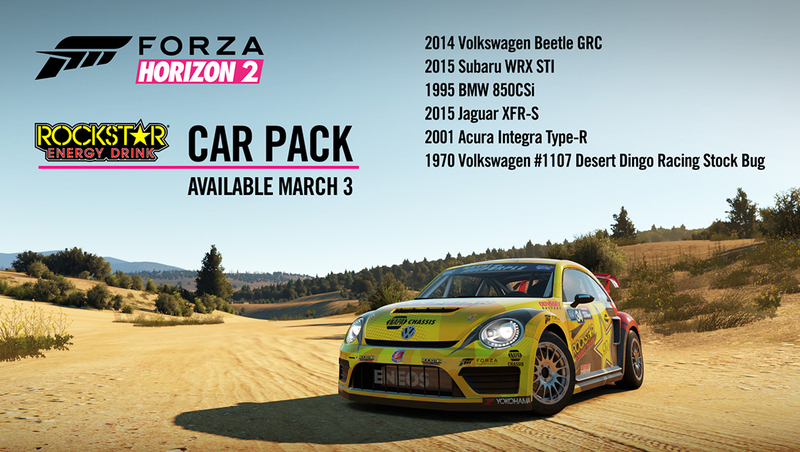 The Rockstar Energy Car Pack is included in the Forza Horizon 2 Car Pass. Car Pass owners may download all the cars of the pack for free. The Rockstar Energy Car Pack is the sixth and final car pack included with the Forza Horizon 2 Car Pass. Any future car packs for Forza Horizon 2 for Xbox One will be available for purchase individually for $5 each.